As a child, Mike’s dad owned a Sunoco station and was a total motor head. Mike started drag racing as a kid and then progressed into motocross in the 70’s and 80s where he met Mike Rossini. 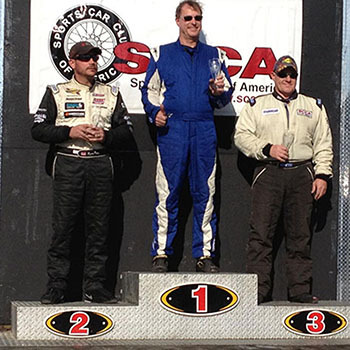 After a break from motorsport Mike’s brother Pete who races SRF, intro-duced him to SCCA. 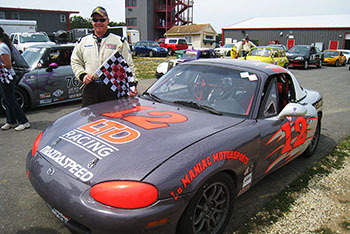 He jumped back into racing Spec Miata in 2008 at the age of 49. He started with a ’97 and then in 2012 built his own ’99 with an engine from Rossini. 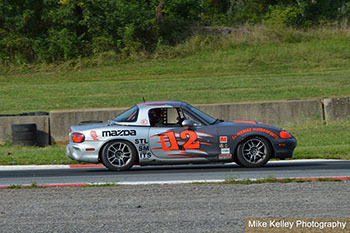 Mikes favorite tracks are NJMP, Watkins Glenn and Summit Point, and Road Atlanta, Road America and Sebring are on his bucket list. 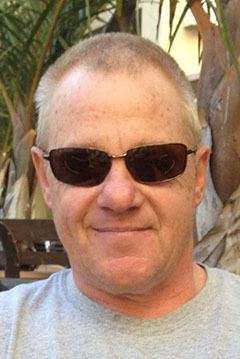 Mike is married with three daughters age 21 and twins age 17. And they are at the track supporting him every weekend. As Mike says without their support at the track this would not be nearly as much fun as it is. They love being at the track and have all made great friends through racing! Some of his best times are spent at the track after the race sitting around the campfire with family and friends where they will break out the guitars and some percussion and play for hours! And on the hood if his car you will find the letters ‘ LTD ‘.Living The Dream!!!! !